Do you love Apicha CHC, or think you could? From August 12-18, you can celebrate Apicha during National Health Center Week. NHCW is a week in which communities all over the country celebrate their local health center, and all that they do for them. 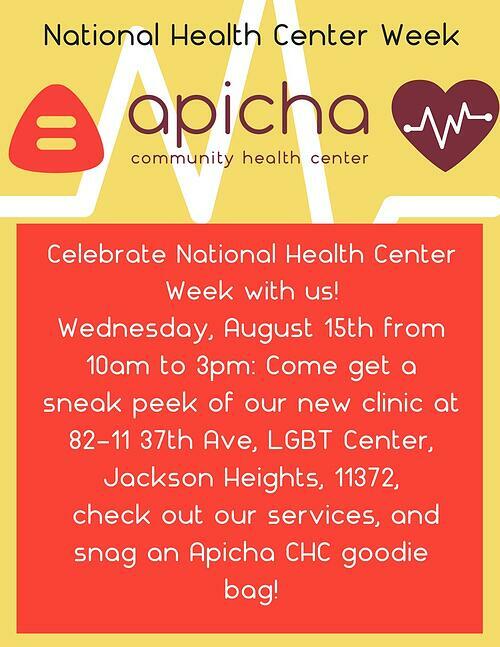 For this year's NHCW, check out what Apicha CHC has lined up to celebrate. 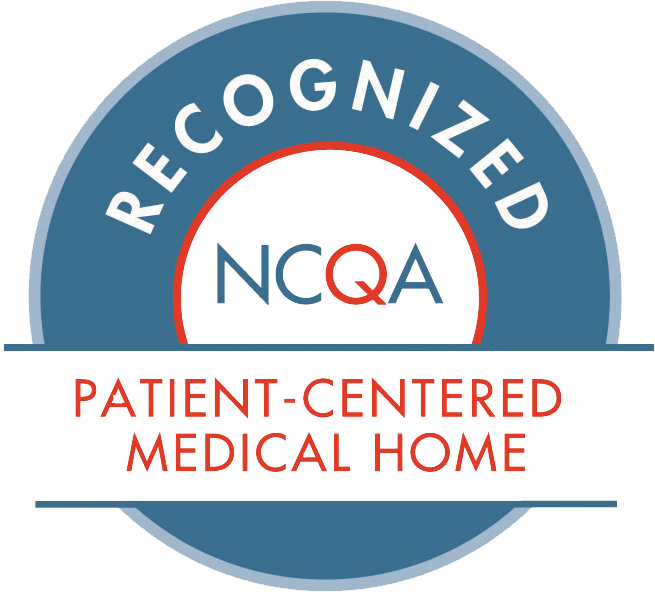 What: Patients are at the core of who we are. We exist to serve the community and those who need care. As such, we're dedicating this week to our patients to let them know how much we appreciate them. We can't wait to see you! What: Join us for an insider preview of our clinic in Jackson Heights. 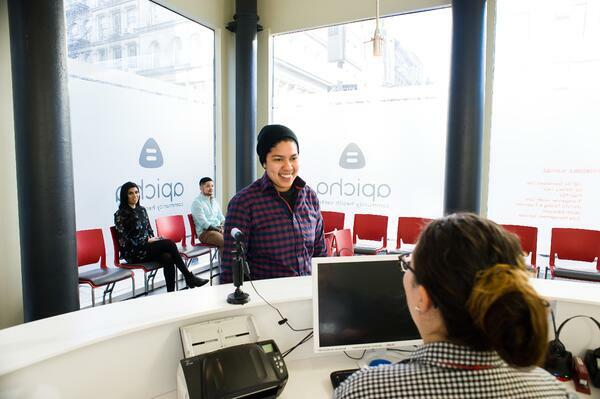 We'll grant you an Apicha passport, which you can use to check out all of the services on our fifth, fourth and LGBT Center -- consider it an Apicha-style scavenger hunt! Once you're done, you'll receive an Apicha gift bag filled with special goodies. We value the hard work, dedication, and effort our staff puts into serving the community. Our staff helps people get the care they need, and changes lives in the process. As such, we're saying thank you by providing them with breakfast and a raffle. This event is for Apicha staff only (sorry! ).